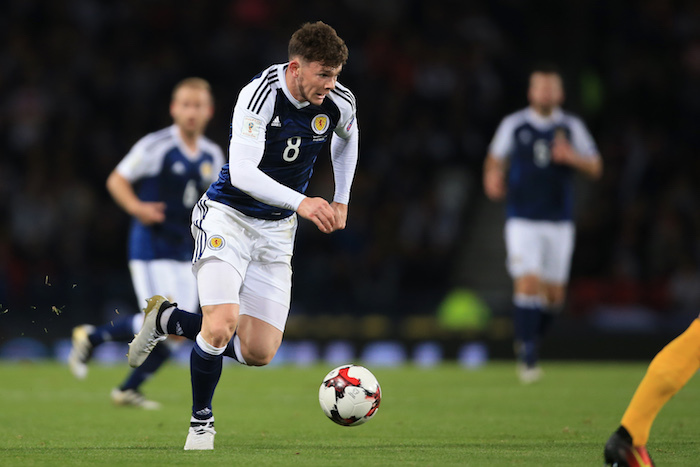 8th October 2016 - 2018 FIFA World Cup Qualifying (Group F) - Scotland v Lithuania - Oliver Burke of Scotland - Photo: Simon Stacpoole / Offside. Oliver Burke hasn’t been getting all that much time on the pitch this season, but he’s still been regularly used off the bench by coach Ralph Hasenhüttl as promoted RB Leipzig have made an unlikely tilt at the Bundesliga title. The recent unrest at former club Nottingham Forest has not evaded his attention though. The 19-year-old Scottish international has continued to follow Forest’s fortunes since leaving the Championship club at the end of August, and he has found it to be a difficult experience. Forest have struggled both on and off the pitch under the ownership of Fawaz Al-Hasawi, with the club lurching from one crisis to the next amid failed takeover bids and managerial changes. When asked by The Set Pieces about the situation at his previous club, Burke didn’t hold back. When Burke departed for Leipzig in the summer, Forest were seventh in the Championship table after five games. That was partly down to the winger’s four goals in a blistering start to the season. But since Burke’s departure, the club have slipped into a relegation battle. Philippe Montanier was sacked in January, leaving Forest searching for their eighth manager in four-and-a-half years. Back-to-back wins against Rotherham and Aston Villa have somewhat lifted the mood at the City Ground, and Burke hopes the trend continues. “I’ve seen they’ve made a few good signings, so hopefully they push on and become better,” he said. Burke spoke to The Set Pieces at the Signal Iduna Park, where he ended up on the losing side against Borussia Dortmund on Saturday. It was against Dortmund that he made his Leipzig debut earlier this season. That night, he was only on the pitch for 21 minutes, but he still made quite the impression by setting up Naby Keita’s winning goal in the last minute. Burke nearly had a telling impact on Saturday too. Again, he came off the bench, and with the final kick of the game he played in a team-mate to score what looked like the equaliser. Federico Palacios didn’t quite time his run to perfection though, and his strike was correctly ruled off-side. “Gutting,” was how Burke summed it up after the game, especially after Bayern Munich had dropped points earlier in the day with a 1-1 draw at home to Schalke. “I think we did really need to win this game today but that’s football, that’s life,” said Burke. He admitted that it’s still been “amazing going from a Championship team” to challenging for the Bundesliga title. But he will be aiming for more game time in the coming months after starting only one match for his new club with 14 appearances from the bench. To illustrate his challenge for first-team football, Burke is approaching six months at Leipzig yet he has still played more minutes for Nottingham Forest this season. “Obviously my chance is going to come. It’s just a matter of time,” he said. “The squad’s just been doing so well, so for me to just come in and take a player’s spot that’s done so well, it’s not easy. But obviously from my performances, hopefully I’ve shown that I’m capable of playing. As for his character, Gulacsi says that Burke is “a good lad and a funny guy.” That feeling resonates with midfielder Rani Khedira, the brother of Germany international and Juventus player Sami Khedira. He said that Burke “still has a lot of work to do” but describes him as “a very down to earth guy”. Khedira added that his team-mate is studying “very diligently”. If Burke hopes to get more time on the pitch, it is exactly that sort of attitude that will help to impress Hasenhüttl. 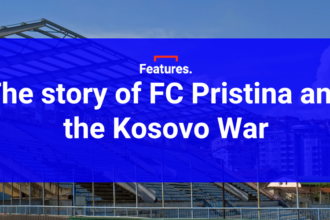 Thanks to Well Offside for the title photo.